The look and appearance of our favorite teams evolve over the years, and it’s fun to go back in time and see just how the world of sports has changed. From retro uniforms to legendary plays, take a look at some of the most iconic images of athleticism throughout the year. For those of you who remember the ’70s, you remember the vibrant colors that were ubiquitous in every facet of life. The in-your-face clothes and cars and other things could not be avoided. Remember Dance Fever? Remember the all-important disco ball and lights and of course, the music of the time? 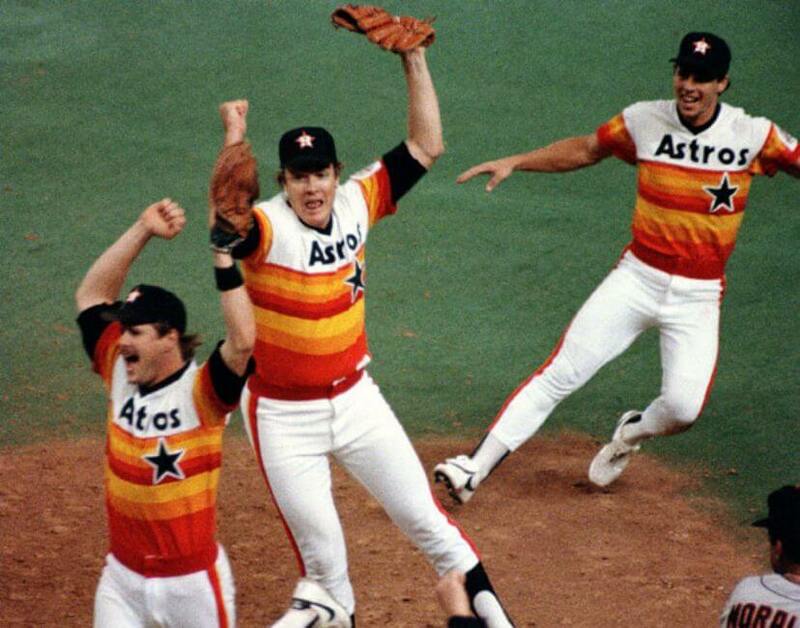 The world of sports was no different, as the inaugural Houston Astros baseball uniforms were a dazzling array of orange, yellow, and gold. A touch of a blue star balanced out the wild colors. It might seem funny now that a baseball team wore a rainbow out on the baseball field, but those were the “good times!” Do you hear that Chic guitar riff playing in your head?